Expeditors is a Fortune 500 service-based logistics company with headquarters in Seattle, Washington, USA. We specialize in creating highly optimized and customized supply chain solutions for our clients, with unified technology systems integrated, throughout our global network of 331 locations in 108 countries on six continents and with the workforce over 17,000 logistics professionals. We pride ourselves on providing exceptional customer service, innovative solutions and market leading compliance. We focus on organic growth of our people and customers. Promotion from within and high retention of our employees and customers are essential to our success as a service and knowledge based organization. 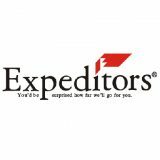 Expeditors Vietnam was established in 2000 and operates 3 full service branches - Ho Chi Minh City, Ha Noi, and Da Nang – supported by satellite locations at our Distribution Centers, Container Freight Stations and Air Terminals.